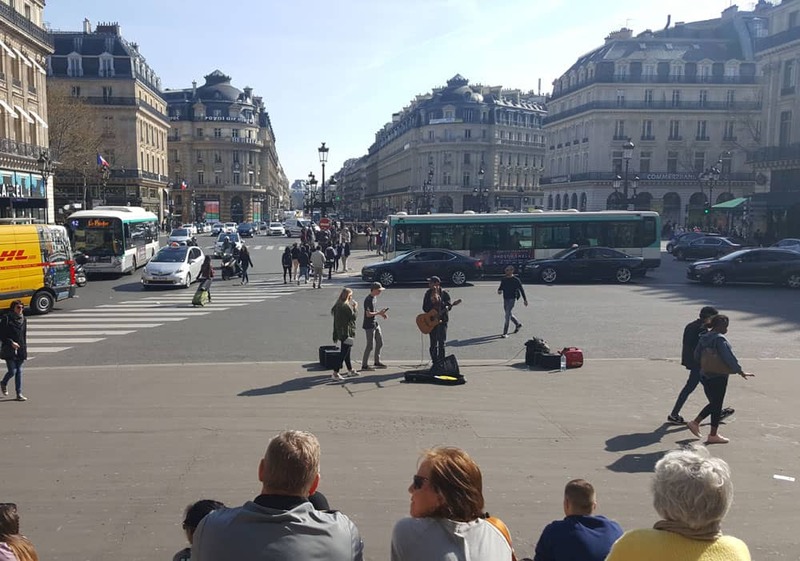 Paris is one of my favorite destinations and I enjoy writing about it and helping others make the most of their visit to the city. Today I’d like to suggest a list of top things to see in Paris. And I do mean “see” and not exactly “visit”. See and not visit? What does that even mean? A while ago – prior to our last visit in Paris – I posted my Paris Checklist of Places to Visit – which I know helped quite a few of you (and thanks for commenting!). We then visited the city itself in late March 2017. If you read my Paris trip report, you’ll notice we skipped visiting inside some of the attractions in my checklist. When we got to them the queues were just too much. There was no way we were going to stand in line for an hour to enter the catacombs or even to watch the Mona Lisa. 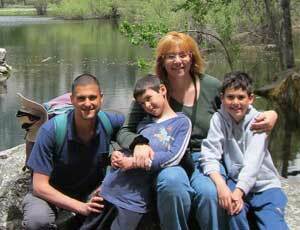 I know other travelers think it’s perfectly ok. For our family, it’s not. We prefer to be on the go and experience new things. And the good news is that there was plenty to see and do without standing in lines! Some places – like the Cluny Museum had no queues. We just went inside and visited the place. Read my Cluny Museum post here to learn more about it. But there was also a LOT to do that didn’t involved getting into any place. 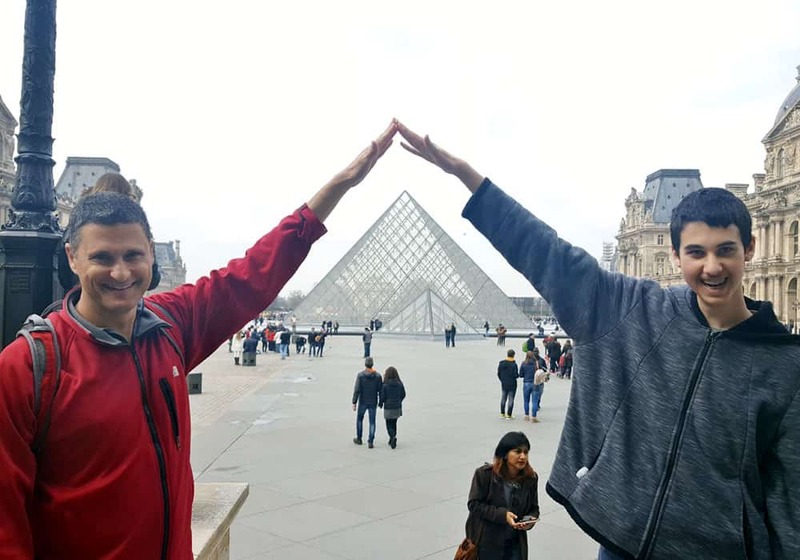 Paris is full of amazing landmarks and monuments. Places that you can enjoy and appreciate from the outside, without ever setting a foot inside a building. 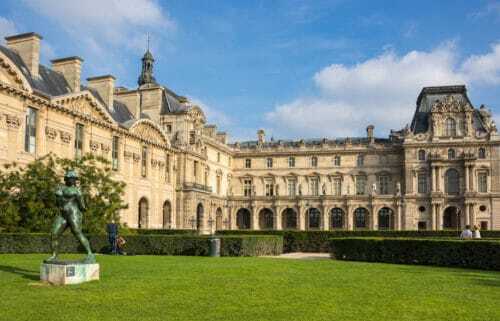 This post covers them, offering you a list of things to see in Paris – for free and without lines! 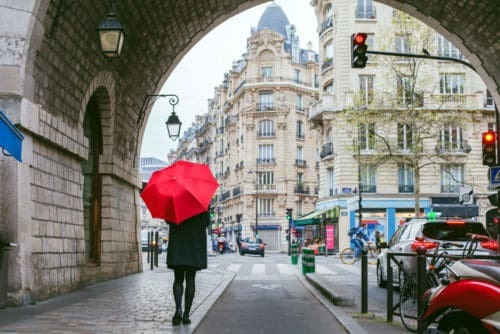 Now that we’ve established what this list is about and what “things to see in Paris” means in the context of this post, let’s dive into the landmarks and monuments the French capital has to offer! 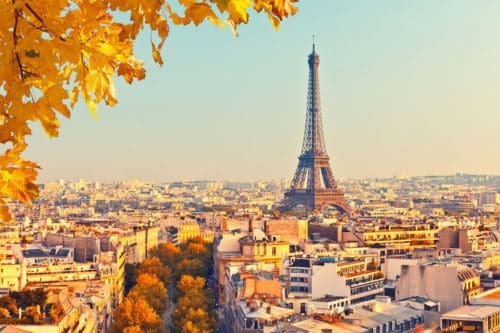 When you hear about Paris, the City of Love, what comes into your mind is The Eiffel Tower. Few structures in the world have the same iconic status. In fact, I dedicated an entire post just to showcase pictures of the Eiffel Tower in Paris – so check it out for some photographic inspiration. The Eiffel Tower was built in 1888 by architect Gustave Eiffel. At 324 meters, it is the tallest structure in the whole of Paris. Visitors to the City of Lights never miss this landmark and many say that the view from the outside is already breathtaking. Of course, you could also climb the Eiffel Tower but the tickets are a bit costly and the lines for them can be super long in season. 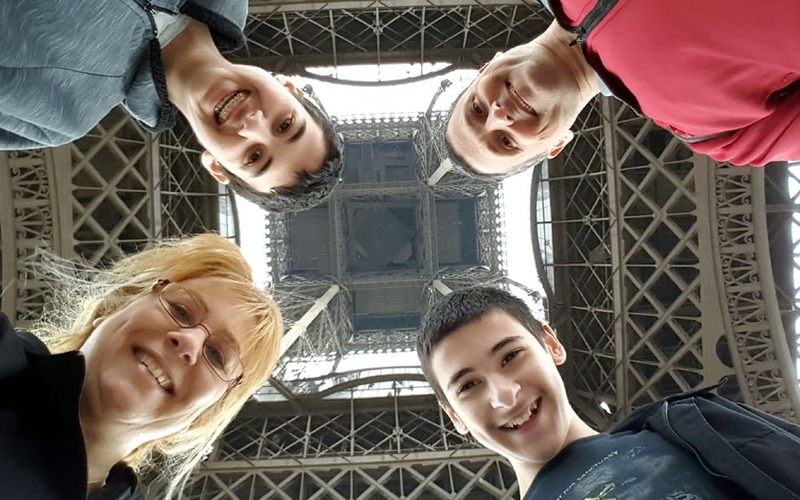 On our last visit to Paris, we decided to avoid the long queue for the lifts and just entered to get a close look at the bottom of the tower. There was a short line for the security check but we were inside the parameters within a couple of minutes. We got a unique perspective of the monument and it was entirely free! Have lunch by the Eiffel Tower! The lawns outside the Eiffel Tower are huge and you could have a picnic right at the foot of the popular landmark. Parisians love to go there during spring and summer and you could do the same to feel more French-y during the visit. Why not have a picnic complete with the basket and a red and white checkered cloth? Usually, picnics include wine, cheese, and baguette. Try getting them at the nearby Rue Cler – the famous market street claimed to have the best products in Paris. If you are not into picnics, visiting the Eiffel Tower is great for your social media posts! Some say that it is best to visit the area at night so you can see the Eiffel Tower in its full glory when it is lit up in the evening. It sparkles throughout the evening for a few minutes on the hour and you would surely enjoy it. This magnificent piece of architecture is another item to check off your bucket list when you visit Paris. Whether you are a Catholic or not, it is a must-see as it is the heart and soul of Paris. Around 13 million people visit the Notre Dame every year. The location is super central and right along the banks of the River Seine. If you decide to brave the long queues you could go inside to revel on the interior and its intricate details. You may also climb the 387 steps to get to the top of the popular towers of the Cathedral. Focusing on the outside of the Notre Dame Cathedral is just fine though. Following my criteria, this is a top item for things to see in Paris. Find the spot in front of the cathedral that marks the center of Paris. We wanted to get our picture there but there was a crowd of school children hopping right on top of the spot so we passed. You may get more lucky though. Don’t miss out on the other side of Notre Dame though. Visit the eastern and southern sides to see the gardens of Square Jean XXIII will give you another angle where you can take photos of the Notre Dame Cathedral with a lush green foreground. It is especially gorgeous from this viewpoint during spring since the flowers will add color to the picturesque view. 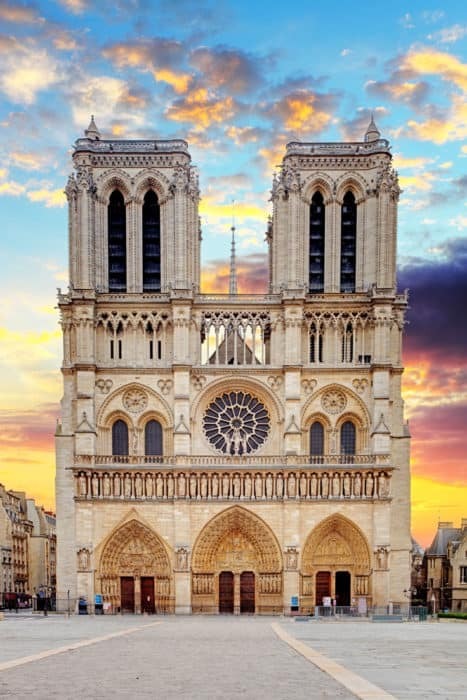 Although it is great to visit the Notre Dame Cathedral during the spring or summer, locals recommend you visit during Christmas time. There are many events throughout December and they say the nativity scene would take your breath away. The Louvre Museum is arguably the most important art museum in the entire world. It opened to the public in 1973 and houses a total of more than 35,000 paintings and other works of art. With more than 10 million visitors a year, it’s also the most visited museum in the world. Which means it tends to get crowded inside. Fortunately, you can visit to marvel at its exterior design. Free of charge and always available. So definitely let’s add this one to our list of things to see in Paris – without going inside. If you have limited time, it may be best to just sit outside and take photos from there. Enjoy the view of the spectacular old buildings as well as that of the ultra modern glass pyramids. They’re great for some creative social media pics! You might want to visit the area at night as well when the place is all lit up and even more dazzling. 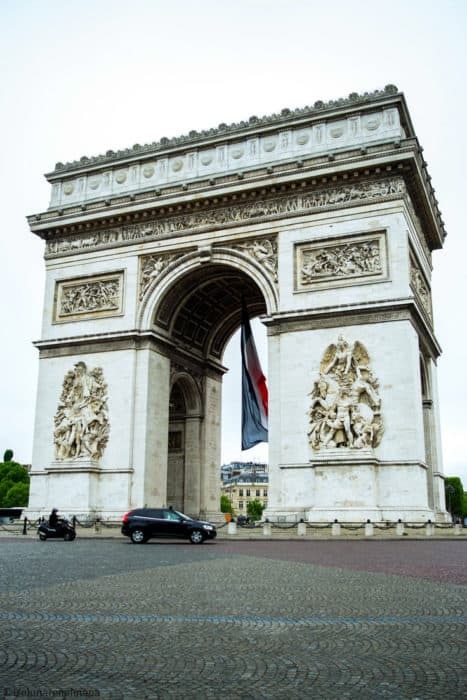 Erected during the 19th century, the Arc de Triomphe served to commemorate the victories of Napoleon Bonaparte. It is one of the most iconic and celebrated structures in Paris which has been a sight to behold for more than 200 years now. Inspired by the Arch of Titus in Rome, the legendary Bonaparte was the one who started the project. He was no longer alive at the time of its completion but his body passed under the completed Arc de Triomphe in 1840. Arc de Triomphe is hard to miss. If you pay for a ticket, you can go up the viewing deck but you can definitely enjoy it just by looking at it. The structure is huge at 50 meters tall and 45 meters wide. There are 284 steps to the top. If you do plan to visit the inside and climb to the top, consider going at night for a stunning view of Paris as the City of Lights. Just don’t forget to wear a jacket – it can get cold up there. It is not safe to cross the busy road around it in order to get a closer look of Arc de Triomphe. There is a set of stairs that lead visitors to the tunnel going to the base of the monument so use those instead of risking life and limb at the roundabout. Need a break from the hustle and bustle of the touristic spots. That is exactly what the River Seine is for. The River Seine flows for 13 kilometers and has always been part of Paris – both as a major transportation route and as a source of water. And as an inspiration for poets, painters, architects, novelists, and many others too! There are a total of 32 bridges on the river in Paris. 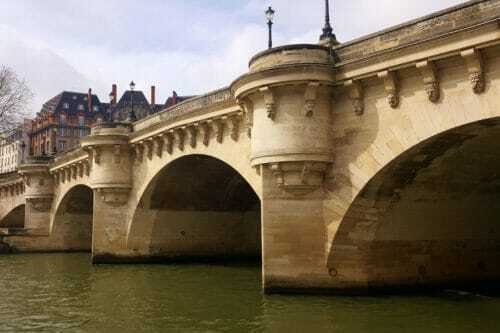 The oldest bridge is the Pont Neuf. 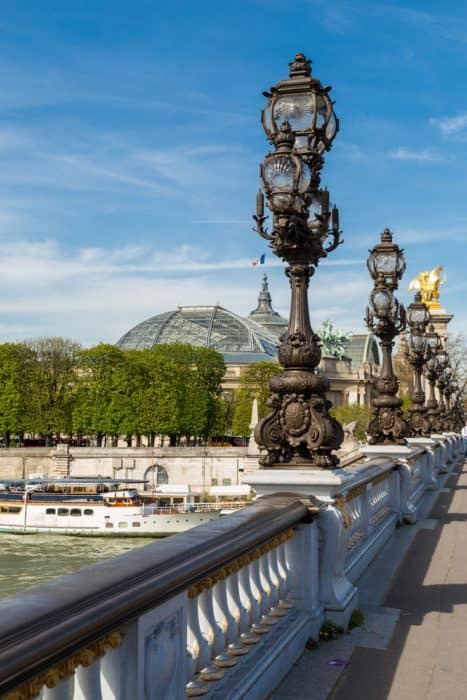 The more famous bridge, however, is the Pont Alexandre III. It crosses the River Seine from the Grand Palais to the Eiffel Tower. What makes this bridge more famous are the two bronze statues on each side of the bridge. They are reportedly the allegorical figures of Fame and Victory. It is best to visit the River Seine during spring or summer though autumn can be picture perfect too, albeit a bit cold. There are benches under the willow trees or you can also sit near the gardens around the river. 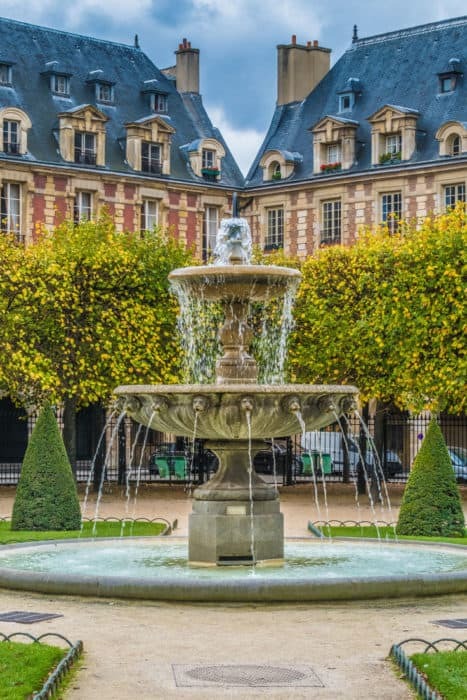 Place des Vosges is one of the oldest squares in Paris. You can stroll under the arches of the structure or through the gardens in the square itself. This is one of the rare Paris gems that is peaceful and isn’t crowded with tourists. 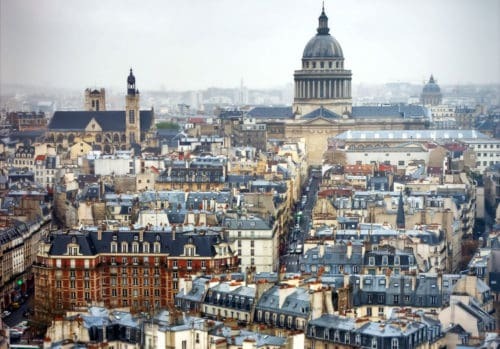 The square is actually close to a lot of great tourist spots, restaurants, and the Marais – one of the most historical neighborhood in Paris. So it’s easy to combine it in your itinerary of places to see in Paris. 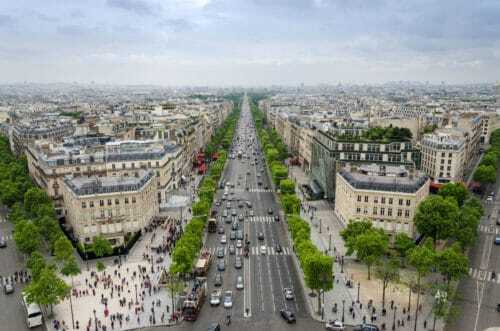 This is possibly the most famous avenue in the whole world. It actually translates to English as “Elysian Fields,” which means the paradise for dead heroes. This avenue is a lively wide street with cafes, restaurants, movie theaters, luxury shops, and more. 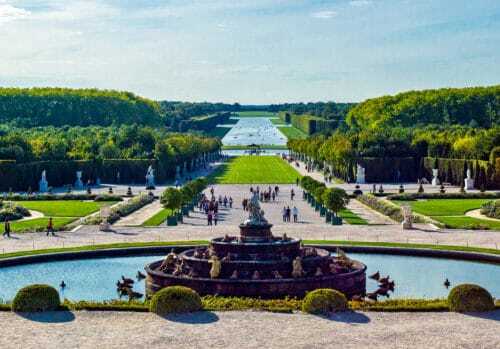 It forms a perfect straight line from the Louvre Museum to the Tuilerie Gardens and the Place Concord. 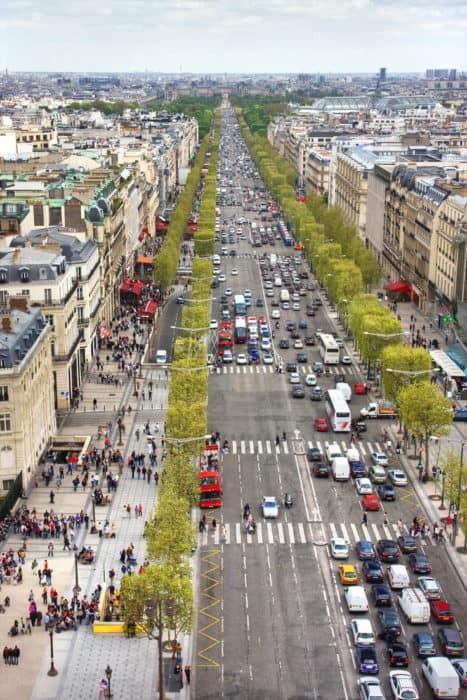 This is also the place for the annual Bastille Day military parade and the finish line for Tour De France’s cycle race. If you plan to walk along the entire avenue, be sure to use comfortable shoes because it’s 1.9 kilometers long (and 70 meters wide). It is also great to visit Champs-Elysees during night time for the lights and atmosphere. This is one of the largest and most impressive buildings in Paris and a personal favorite of mine. The inside is really breathtaking and beautiful – prettier than Versailles in my opinion. However it’s not always open and entrance fees are not cheap. Fortunately, the outside is equally stunning and it’s actually fun to sit on the stairs and enjoy the crowds. Watching from outside, you can enjoy the multi-colored marble façade, golden statues and the names of opera legends are placed outside the opera house. When we were there, a guy with a guitar and an amplifier was standing in front of the stairs. He played the instrument and invited people from the crowd to sing with him. It was a surprisingly good show! Definitely a one of the more fun things to see in Paris. Be sure that if you are walking around the entire structure, you will really see the opera house up close from every possible angle. Every inch has intricate details so you really have to go around it and get a good view of the details. Palais Garnier Opera House is also called the Opera Garnier as it is named after Charles Garnier, who designed the structure. It was built from 1865 to 1872. 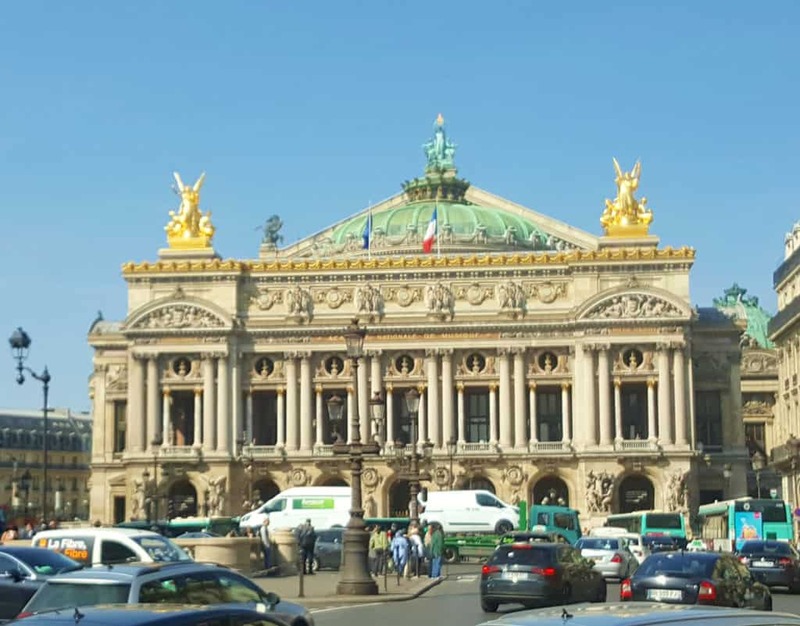 The Palais Garnier Opera House remains functional but it is also open to visitors who aren’t there for the show. The best option to see the Palais Garnier Opera House is on a weekday during the late hours so as to get better photos in front of the structure. This is another tourist attraction that is great to visit day or night. It has been the seat of the Paris City Council since 1357. In 1871, Hotel de Ville was burnt down during the Paris Commune. The city government then held a competition as to who can present the best design for the re-construction of Hotel de Ville. Architects Théodore Ballu and Edouard Deperthes designed the new Hotel de Ville but they only patterned their design from the original one. 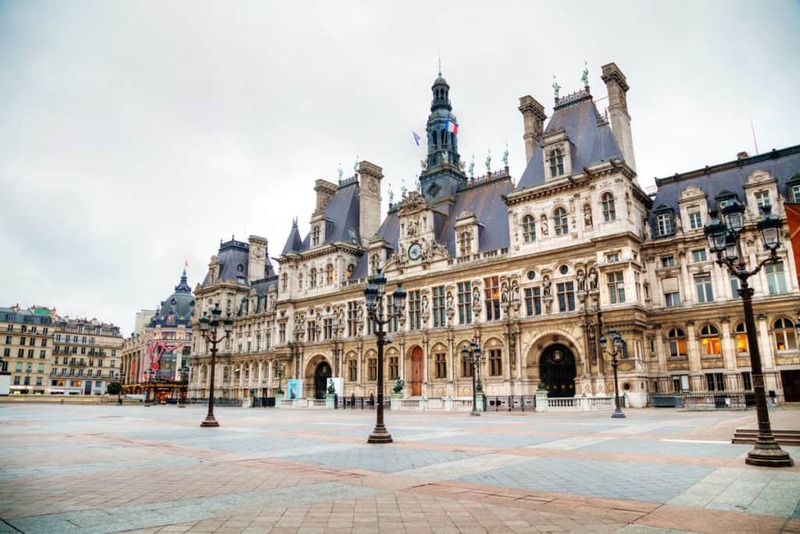 Hotel de Ville is full of history and it is a not-to-miss spot in Paris. It’s panoramic view is really great for photos to immortalize a visitor’s time spent in the area. There’s not much for you to do inside but a lot to admire from the outside making this a perfect item for our list of things to see in Paris. Located at the highest point of the city, this is a Roman Catholic Church dedicated to the Sacred Heart of Jesus. This magnificent structure was designed by Paul Abadie and its construction lasted from 1875 to 1914. It is dedicated to the 58,000 people who lost their lives during the war. You may walk to the church or ride a bus going there. Once you get to the foot of the church, just take a moment to breathe it all in as it is a really calm and peaceful area despite the many people visiting it. 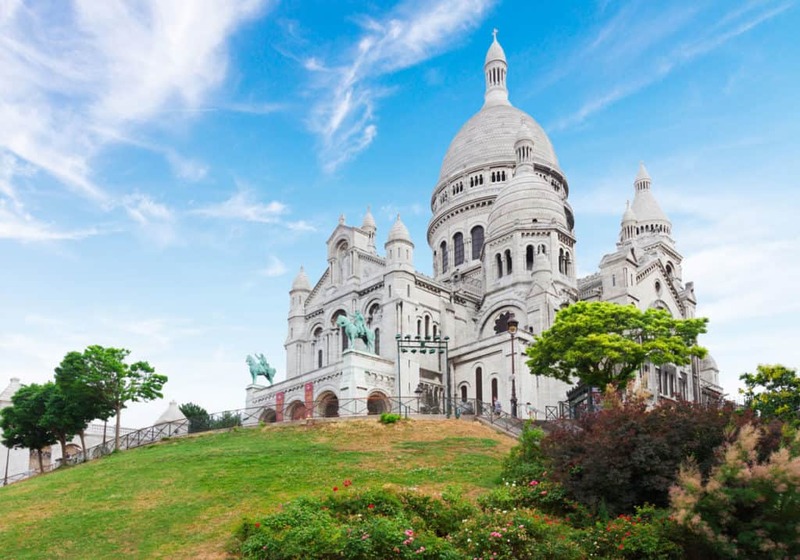 It is a bit windy here since it is the highest point in Paris so it is best to wear a jacket when visiting Basilica du Sacré-Coeur de Montmartre. 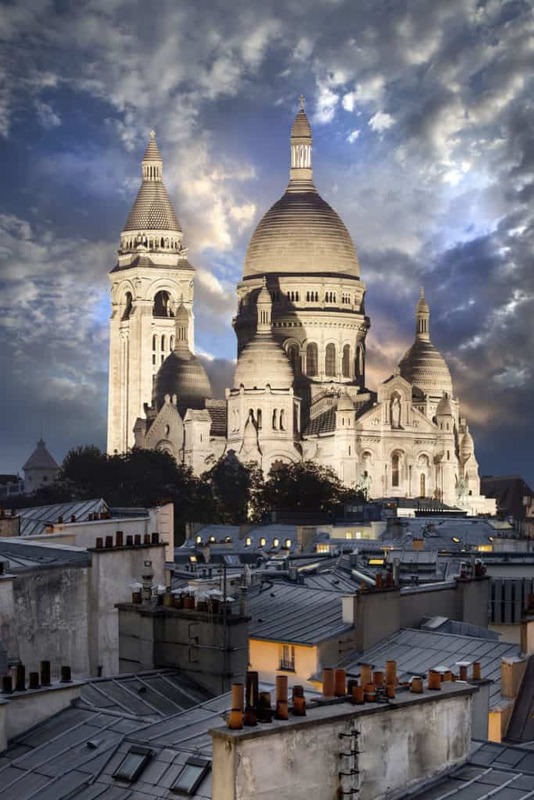 The domes will give visitors a fantastic view of Paris from above but there is a fee when you would get inside the church. Or just enjoy strolling through the area – day or night. 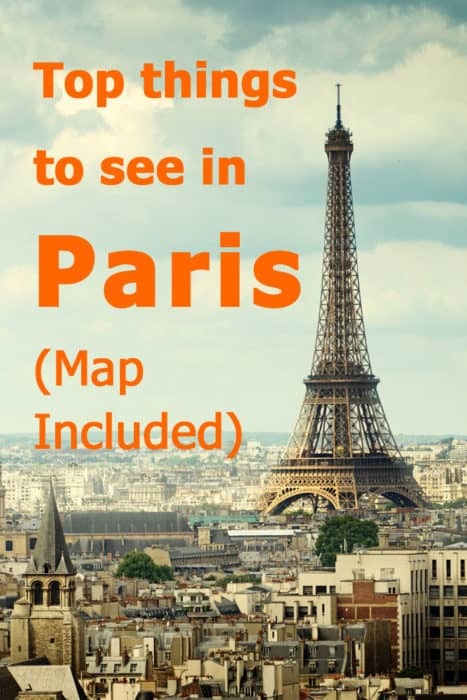 And here’s a map of all the things to see in Paris! To help you make your way from one monument to landmark, here’s a map of the items in this list. The pins show you where these things to see in Paris are located. Click on the top left button to see the list of items in the map. Over to you! Have you visited any of the places mentioned in this post? What do you think about these choices? Did you choose to queue and see them from inside too? Do you have more suggestions for travelers looking for things to see in Paris for free and without standing in lines? I’d love to hear from you in the comments section!